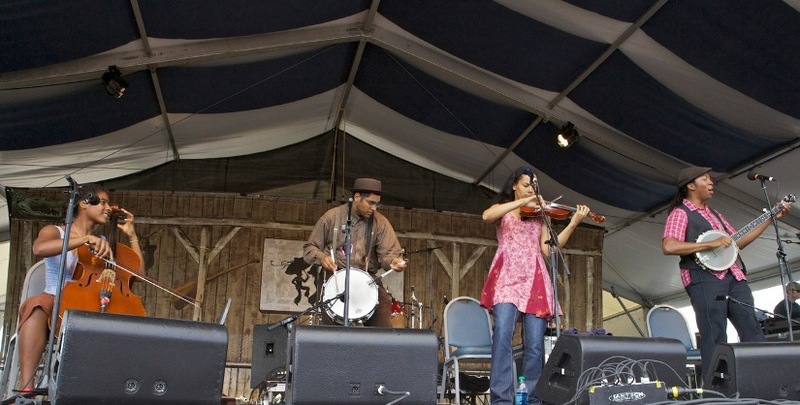 With 2013 still early in its run, an early contender for my favorite CD of the year is Carolina Chocolate Drops LEAVING EDEN (and yes I know it came out in 2012). It has been a while since I was so thoroughly in love with a CD from first song to last (Terry Callier’s opus SPEAK YOUR PEACE comes to mind, and that is high praise indeed). I like their 2006 debut cd, DONA GOT A RAMBLIN MIND, but I don’t love it. 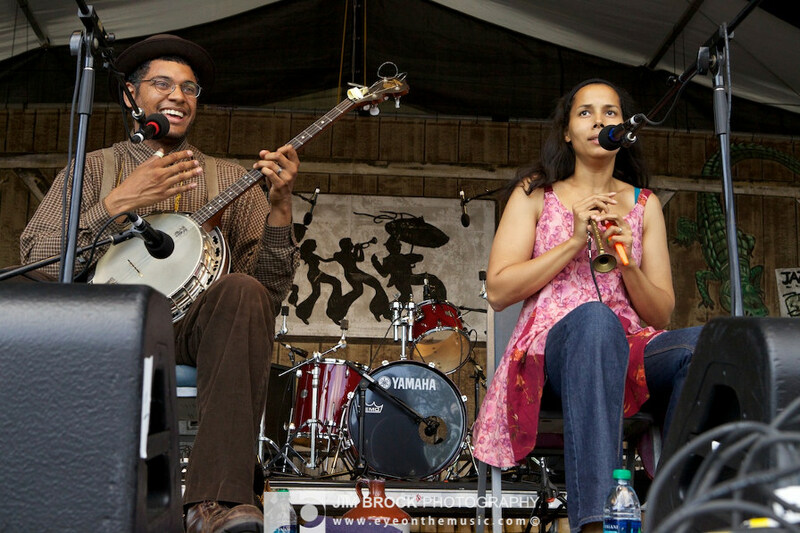 The same can be said for their 2009 concert CD entitled CAROLINA CHOCOLATE DROPS & JOE THOMPSON. However their latest LEAVING EDEN is another story. It is an album that is not only listenable from first song to last, it is immediately re-listenable. An album that can be on rotation in your cd player often without wearing out its welcome; no small feat in this day and age of too much, too fast, too poorly done. What really endears me to this CD is how these young children of the Diaspora, these four children of the atom, of the early 21st century, are so thoroughly channeling and keeping alive this quintessential music of the early 20th century. What endears is how these young men and women of the race: Human, of the ethnic group: Nubian/Black, of the Nation: American and of the tribe: Artist; are creating music that incorporates the width and breath of all of the above. LEAVING EDEN is at once joyous and jubilant and haunting and innovative, and sublime. The spirit of Robert Johnson moves strongly here, and well. ‘Howls in the bones of her face’ to borrow from Dylan, the cd LEAVING EDEN howls in the bones of your face. Not only do I have a new favorite CD, I have a new favorite band. And luckily they are touring this year so if coming to a city anywhere close to you I highly recommend checking them out in person. I had the chance to see them in concert last year and missed it. I won’t miss them this year, and if you are smart neither will you. Their touring schedule is here. And their CD LEAVING EDEN? In an age of digital and Itunes do CDs still have a place? That appears to be the question of the moment. My answer? When they are this good, hell yeah CDs have a place. Owning just an mp3 sample would just be a crime. This is a work of art in the listening, and should be a work of art in the displaying. Grade: A+.